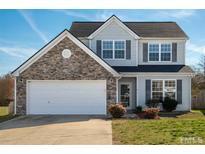 Below you can view all the homes for sale in the Edgewater subdivision located in Raleigh North Carolina. Listings in Edgewater are updated daily from data we receive from the Raleigh multiple listing service. To learn more about any of these homes or to receive custom notifications when a new property is listed for sale in Edgewater, give us a call at 919-759-5376. Private patio backs onto the Neuse River Trail Greenway! MLS#2248722. 4821. 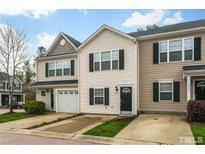 Walking distance to Greenway & Neuse River Trail Conveniently located near 540, 40 &440. MLS#2245212. 1127. 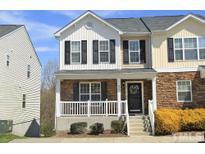 Located Just off of I540, This Home is Just Minutes to Shopping, Restaurants, RDU Airport, & RTP. MLS#2244061. 987. 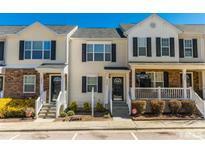 Gleaming wood-like floors, full finished basement, fully updated bathrooms. & Much more MLS#2245122. 5026. Close to I-440 & 540 and downtown Raleigh. Swimming Pole in the Community. MLS#2244184. 1117.
upgraded Lights, brushed nickel Hardware, spacious Living room. Community Pool, and more MLS#2244076. 4058. Access to a community pool is part of the Edgewater Townhomes HOA. MLS#2241803. 4823. Close to shopping, fast & easy access to I-540 & 440., & nature trails along the Neuse River. MLS#2239906. 619. This home is part of the Edgewater Townhome Association. MLS#2239693. 4823. Access to a community pool is part of the Edgewater Community Association. MLS#2236913. 4823. Contact us TODAY for additional features. This won't last long! MLS#2214505. 3770. Contact us TODAY for additional features. This won't last long! MLS#2214510. 3770.